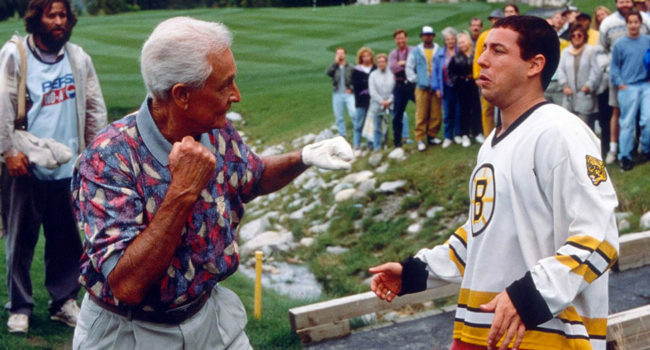 In Happy Gilmore, Price is Right host Bob Barker gets into a fist fight with Happy Gilmore during a pro-am golf tournament, thoroughly handing his behind to him in the process. 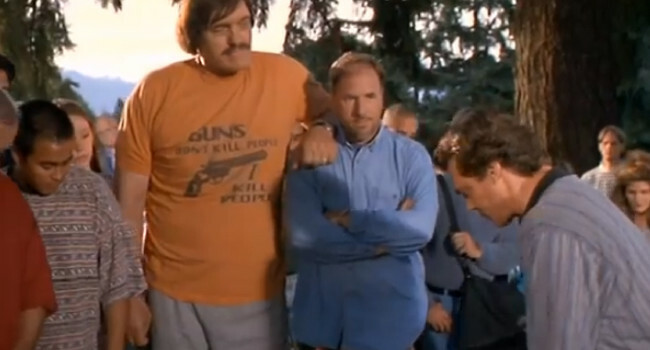 Happy Gilmore is an unsuccessful ice hockey player who discovers he has a powerful slapshot-style golf swing. With the help of Chubbs he learns to improve his putting and control his angry outbursts in an effort to win the Pro Golf Tour against Shooter McGavin.